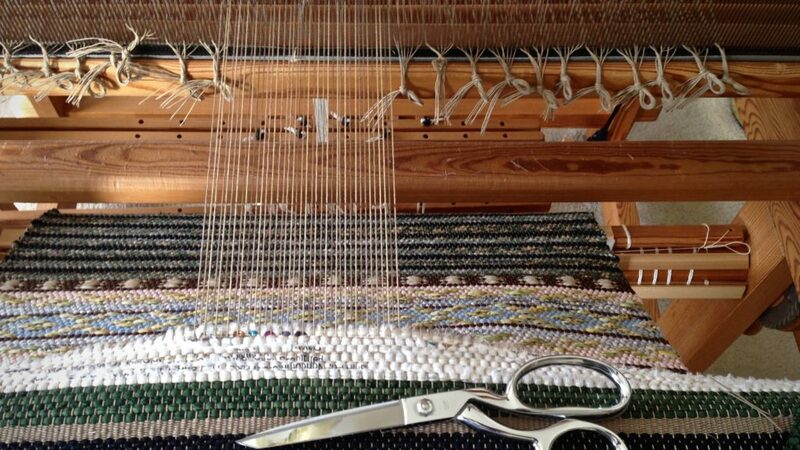 As the warp ends are cut, they are tied into one-inch groupings to simplify tying back on to the tie-on bar. 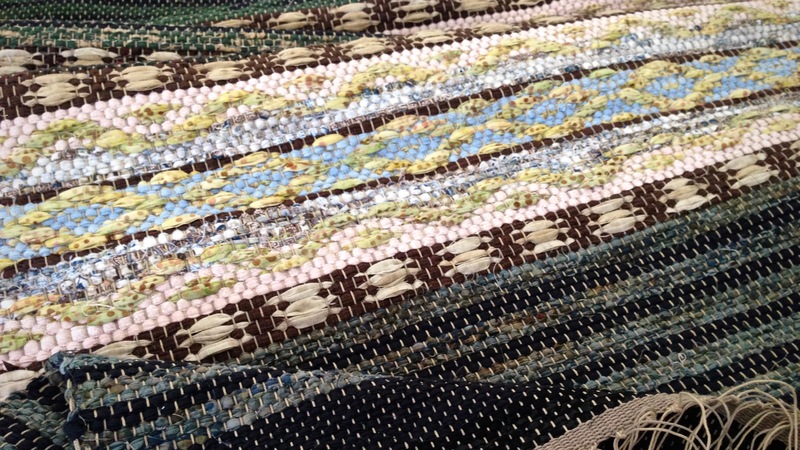 Warping slats are used as spacers between rugs. Some of my slats are barely wide enough for this warp. 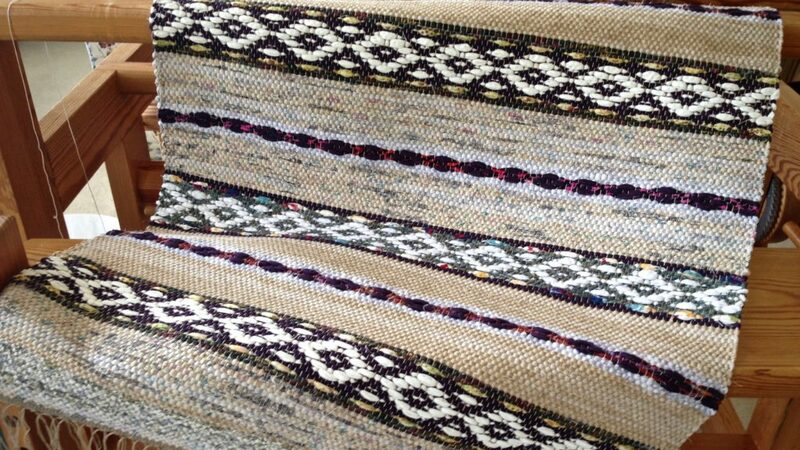 I look forward to full weaving days again, with both looms dressed, and shuttles zooming. 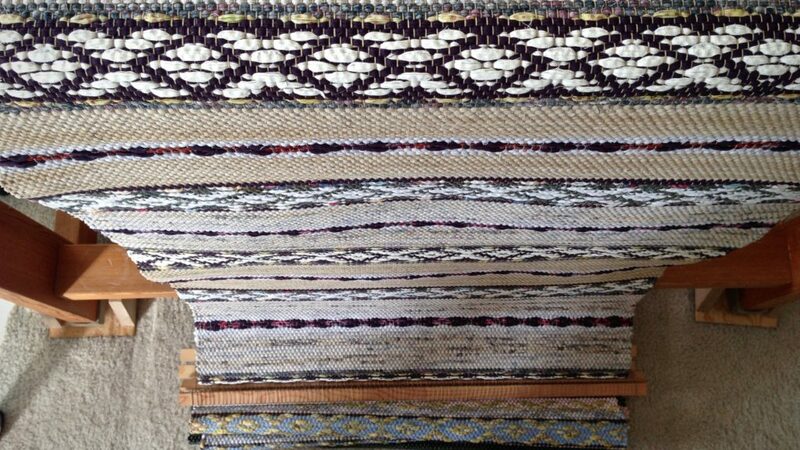 That rag rug warp still on the loom will be a reward worth waiting for. 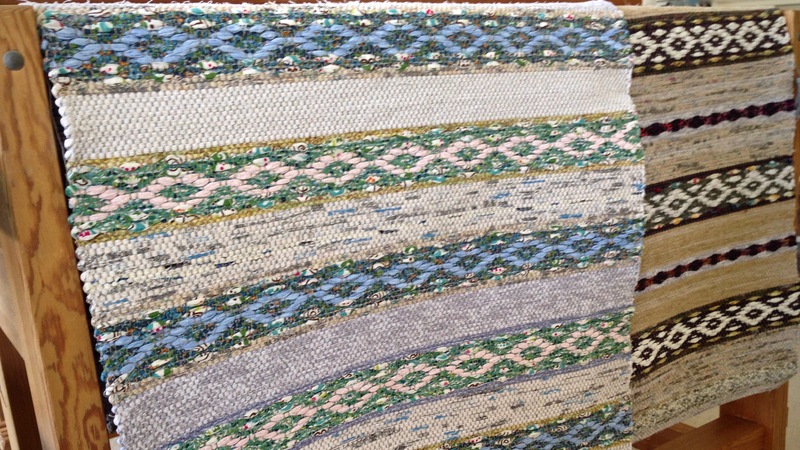 One rug has warp end knots, and is ready for pressing and hemming. Broad rosepath pattern lends elegance to this rag rug. Last week, when I awoke from surgery, the relentless pain I had been experiencing in my left leg and lower back was gone. Completely gone! It made me think of heaven. Ancient writings tell us that the lame will leap like a deer, and that sorrow and sighing will flee away. There’s no place for pain in heaven. All the people there have been healed and restored. That’s a reward worth waiting for. And I won’t be surprised if there are at least a few in heaven who are weaving away to their heart’s content. May you know what to do while waiting. So happy to hear about your new normal (no pain). Thank you, Randi! No pain is really wonderful! Oh great tip! My hands are so achy any more that will really help! Liberty, Good! I’m all for reducing stress on our bodies. We want our weaving tasks to be pain free! Woow i love it.great job.